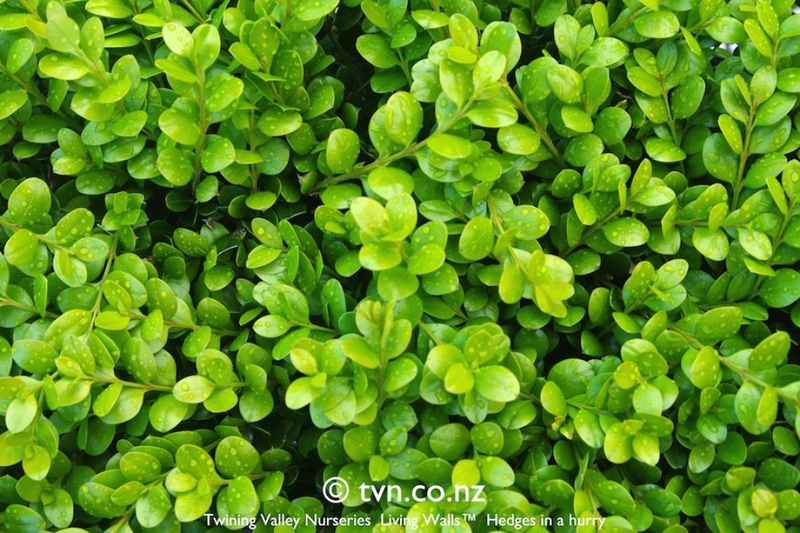 Box ‘Green gem’ (Buxus 'Green Gem'): growing, planting, caring. 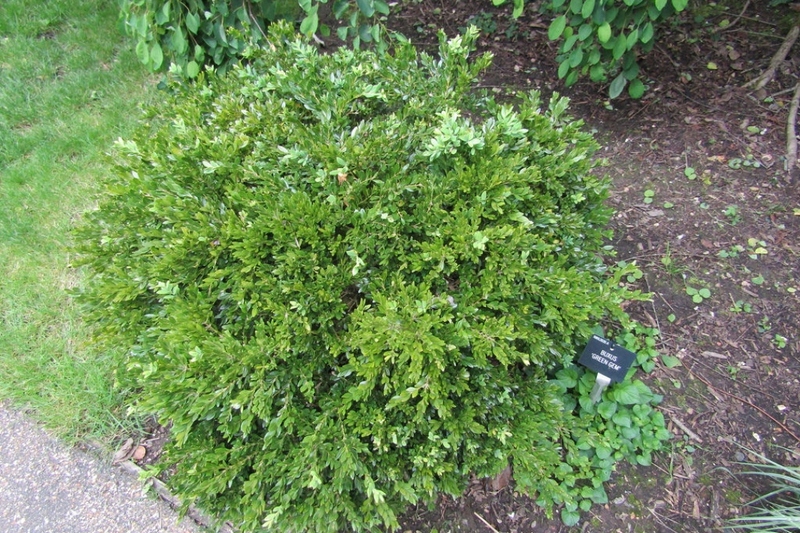 A hybrid between B. Sempervirens and microphylla, a compact shrub. When summers are hot and humid, there are two types of fungus outbreaks to be aware of: Cylindrocladium buxicola and Volutella buxi, which cause decay of part or the whole plant if precautions aren't taken. It's better to prepare everything at planting time, to make sure that it's not too enclosed with other plants and its foliage can stay dry. Otherwise, it likes all kinds of sunlight and cool soil, even with chalk or clay. This shrub has a compact trunk, 1 cm long persistant, waxy, and shiny leaves that may be round or elliptical. It flowers an unremarkable green in the spring. Plant before or after freezing in cool, chalky, and clayey soil. Sun exposure doesn't matter. You can bury the neck of your box tree so the foliage reaches down to the ground. Keep in mind that your box trees must be kept well-aerated to avoid virulent fungal epidemics, so don't let the foliage of any two plants come in contact. - If potted or trayed, plan on using a container that has a diameter of at least 50 cm, add gravel to the bottom covered in landscape fabric to facilitate draining, and plant in a mix of potting soil and garden soil. Finish by placing your pot in a partially shaded location to avoid the hottest temperatures of the day! Box trees can deal well with pruning...in theory, as cutting branches provides an opportunity for fungal spores to enter the plant. You can prune with garden shears a number of times each year to give your box tree a nice, compact appearance. They are often fomed into spheres or a wide range of topiary shapes. It's strongly recommended to treat your box tree with Bordeaux mixture immediately after pruning, or if you notice any wasting that might be linked to fungal infection. Avoid pruning when the foliage is wet. Mulch each year with a wood and leaf based mulch/soil enricher. This will keep the soil rich in humus and will limit the need for watering and weeding. Ideally, you should replace some of your box tree's soil from time to time, either by repotting it in a bigger pot, or by changing at least the top soil. Otherwise, add an organic soil enricher each year.